Imagine that you could help one of these cats get a better life. You can only help ONE. Who would you choose? ADA is The Champion, she’s the winner of several international cat beauty competitions. She’s in perfect physical health, is neutered, gets nutritionally balanced food in a bowl, and all the vitamins and whatnots. She lives with a dog and a tail-pulling child and spends most of her time at home hiding under sofas when she’s not travelling to different exhibitions. 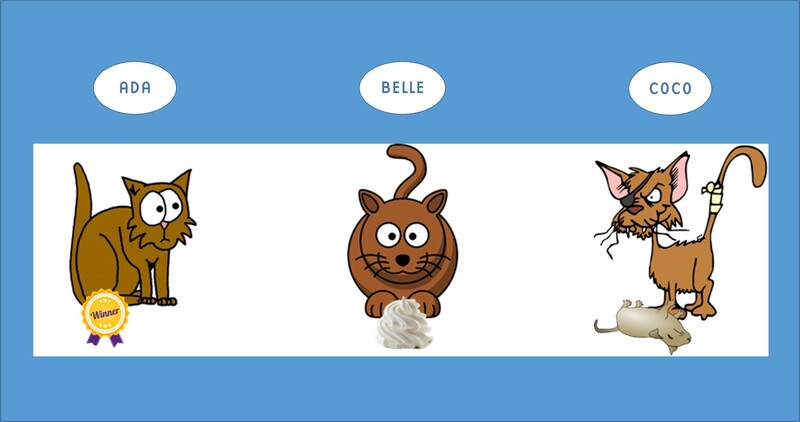 BELLE is The Hostess. She greets guests with her tail high, and spends most of the time contentedly purring in her elderly owner’s lap. She never meets other cats, and is pampered with unhealthy food in a bowl, is severely overweight and has un-diagnosed diabetes. COCO is The Rogue. She lives in a barn with a group of related females. She hunts mice, and has babies, intestinal parasites and ticks. She gets chased by the farm dogs every few days – and has a life expectancy of about four years. Ignore your objection about irresponsible ownership, and let’s assume cat overpopulation is not a problem, and that there are international cat beauty competitions for neutered cats. Imagine you can wave a magic wand and radically change the life circumstances of one of these cats. You can only help one. Who would you choose? Make your choice below (click a name, and then “vote”, and see how you compare! Pick ONE of the cats as the one you’d help first. So, I’ve already asked this question as a short poll on my Facebook site (if you answered on Facebook, please answer again!). Two polls actually, on two different posts – that was probably confusing to many people, and only a fraction answered the second poll. But – the results were interesting enough to warrant further investigation – hence this blog post. Imagine having a magic wand that works, not once, but twice. You can wave it twice only, and help TWO of those cats. You can only help two. 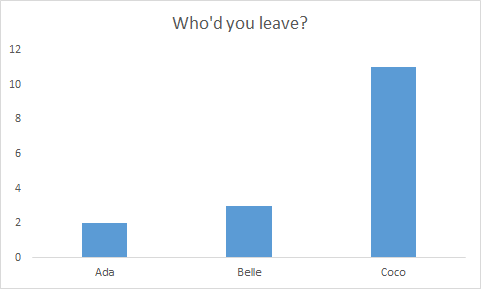 Who would you leave as is? Again, you have to choose: who would you leave as is? Who has “good enough” welfare? This may actually be more difficult than just choosing who’s suffering the most. Take a moment to actually answer the poll below. Pick one of the cats to be the ONE you wouldn’t help. Who would you leave as is? I thought these results were really interesting. 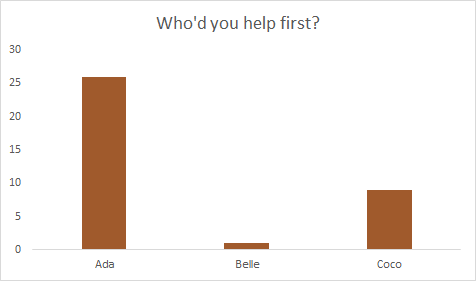 Though the sample is small and probably biased, it seems most people who chose to answer these two polls on Facebook were conflicted about Coco. Many people thought she needed help the most, and many people also thought she needed help the least. I’m sure the outcome would have been different if I’d made Ada’s life a little bit less miserable – if there’d been no tail-pulling child, for instance. To be sure, there is no right or wrong answer. There’s just different perspectives and priorities. And answering those questions IS difficult. That’s why it’s an ethical dilemma, right – no matter how you choose, you feel like you’ve made a bad decision…! Welfare is a social construct, and the question “what is animal welfare?” is deceptively simple – as shown by the outcome of the polls you just went through. Health. From this perspective, physical health is the most important thing. Normal development, freedom from disease. People prioritizing health have a focus on function. Ada satisfies the health perspective. Happiness. This view emphasizes the absence of fear, anxiety, loneliness. People prioritizing happiness have a focus on feelings – they want animals to be happy. Belle is OK from the happiness perspective. Inherent behaviour. This is about Telos – a philosophical term about the purpose for which animals evolved. From this perspective, it’s important that animals have the opportunity of behaving naturally. Coco personifies this perspective. Most people will say “we need all three!” but they’ll still weigh one perspective as more important than the others – which is why people disagree on whether it’s Ada or Coco we should help first, and get into conflicts whether we should keep animals in shelters or euthanize them. Depending on which perspective you prioritize, or which combinations of perspectives you consider the most important, you may use different approaches to improving welfare. Variables important to address and improve welfare from the different perspectives – and their combinations. In the sweet spot (black) in the middle is CONTROL. Health priorities: Focus on physical health and reproduction. Happiness priorities: Focus on minimizing fear, learning about preferences. What makes the animal happy? Inherent behaviour priorities: Focus on species-specific needs. 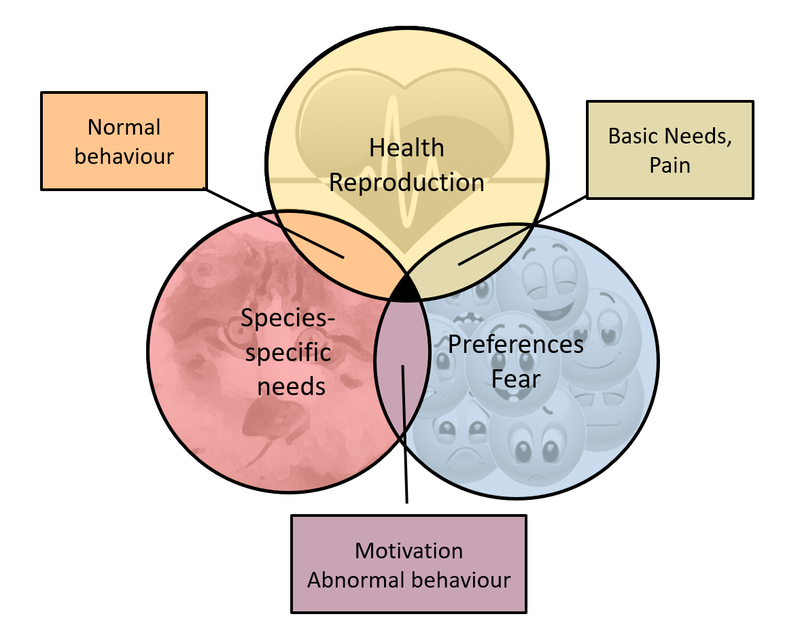 In the overlap zones between the different perspectives, we might start looking at things like basic needs and the avoidance or alleviation of pain – or motivation and abnormal behaviour, or normal behaviour. But in the sweet spot in the center, the overlap between all three perspectives (the little black triangle in the image above) is the issue of control. Giving animals control satisfies people from all three perspectives and will be a good way to start a constructive discussion with someone who has a different take on animal welfare than you. Giving animals control improves their welfare – regardless of whether we’re talking health, happiness or inherent behaviour. Learn more about how to give animals control during training here. Was this useful? Can this post help you talk about animal welfare with someone who has a completely different perspective than you – reduce the risk of conflict, and rather help some animal achieve better welfare? Let us know in the comments! 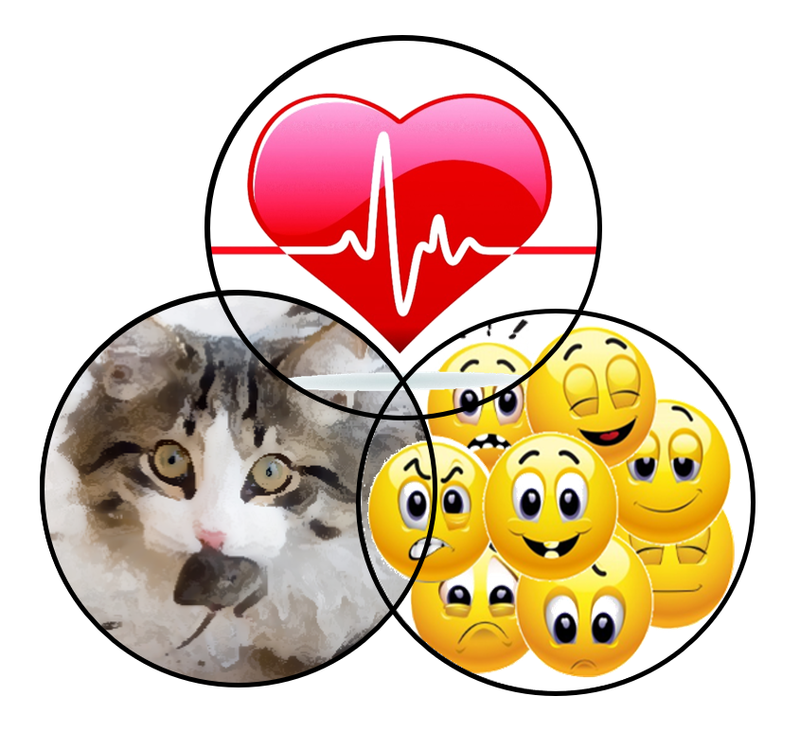 I teach about welfare and control in my online courses about animal training and emotions, in free webinars and the occasional blog post. Wanna stay updated whenever one of them is available? Sign up below, and I’ll keep you posted! I really can’t say unless I saw the physical appearance of Coco. Cats are equipped to be feral and her babies would be as well, especially if they have survived their first months.So if they re not frozen and they are experiencing their natural circle of life, I imagine this would be the one to leave. The 2 that are trapped indoors with no ability to experience their lives as they were bred? Were they actually bred for indoor life but then abused? In terms of a species, the indoor cats have it the worst. I would argue that we’re not “breeding for indoor life”. Most domesticated animals, when let out, easily revert to their “wild” lifestyle: our breeding typically doesn’t affect behaviour (except aggression, fear and sexual behaviour, typically). It’s been demonstrated in scientific studies of slaughter pigs and inbred laboratory rats: they behave like wild boars and wild rats if given the opportunity in a natural setting. They might be less successful because some of the learning is missing, but the main components are all there. I understood the question differently before I voted. I thought one cat would be saved in my boat and then returned to her life. 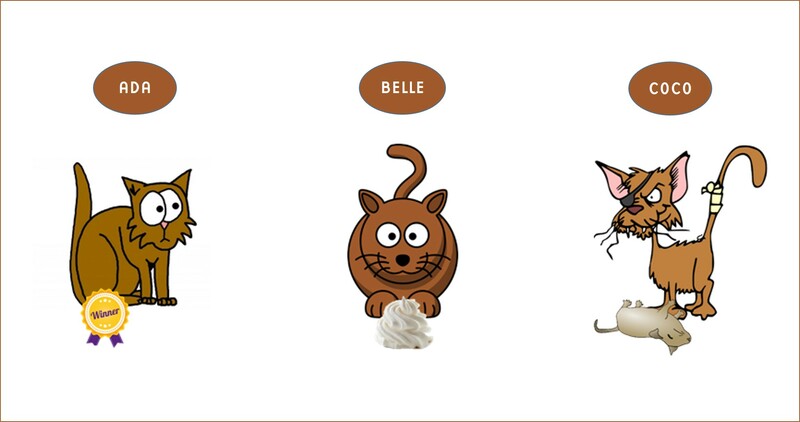 Therefore, I felt that Belle, though overweight, was the most happy, loved and needed by her elderly person. Funny how our brains fill in the blanks in different ways and the results can look like we think differently when we really don’t! Previous PostPrevious Do we need to redefine “training” – or “behaviour”? Or both? Next PostNext Poisoning – or counter conditioning? Lectures on applied ethology were really interesting and motivating.